Hettige Don Rumesh Lahiru Thirimanne (known as Lahiru Thirimanne (Sinhala)) (born 9 August 1989) is a Sri Lankan international cricketer. He is left-handed batsman and right-arm medium-fast bowler, and currently the vice-captain of One-Day international side. Thirimanne began his cricketing career at S.Thomas College, Bandarawela and played Under 11 cricket and his first coach was Sujeewa Gunarathne. He studied at S.Thomas College Bandarawela initially as his father, who was employed at the Survey Department was transferred. After passing the grade 5 scholarship exam Lahiru joined Prince of Wales College, Moratuwa and played in the Under 13,15,17 and 19 team. He madehis One Day International (ODI) debut in early 2010. He made his Test debutagainst England at theRose Bowl in June 2011, coming into the side for the injured Tillakaratne Dilshan. In his first Test innings, he was dismissedfor 10 runs caught behind off the bowling of James Anderson. 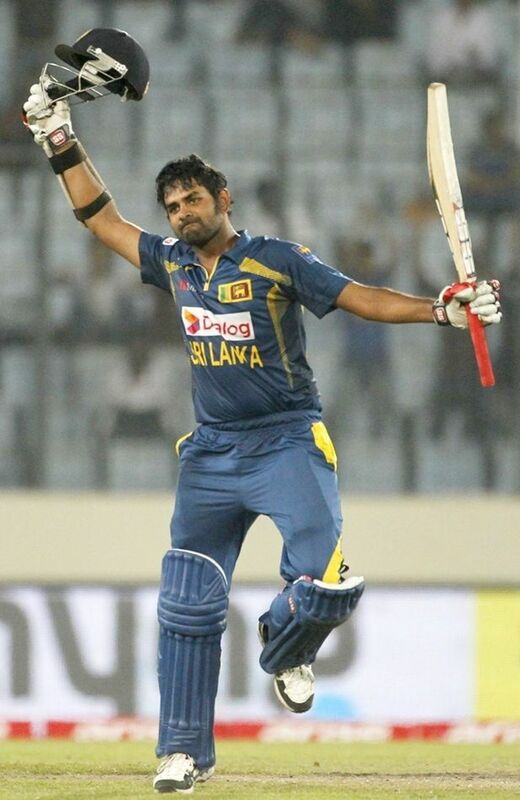 Thirimanne Scored his first ODI centuryagainst Australia at Adelaide Oval during second ODI of 2012–13 Commonwealth Bank Series. Duringthe 2014 Asia Cup in Bangladesh, he opened the batting with Kusal Perera, due to injury of Tillakaratne Dilshan,who was not included to the series. He scored two magnificent hundreds against Pakistan,where he finally ended up being the highest run scorer in the tournament with 2centuries with the average of 55.80. Eventually, Sri Lanka became champions forthe fifth time in Asia Cup history. On 23January 2015, during the fifth ODI between NewZealand, he captained the Sri Lanka, due to slight injury of captain Angelo Mathews. However, his first match as acaptain did not underway well, as they lost the match by 108 runs. He also took2 wickets at that match, and scored 45 runs as a opener. He also captained the 6th and 7th ODIs of theseries, where 6th ODI ended with a huge defeat, and 7th ODI was comfortably wonunder his captaincy. However, Sri Lanka lost the series to 4-2 finally. 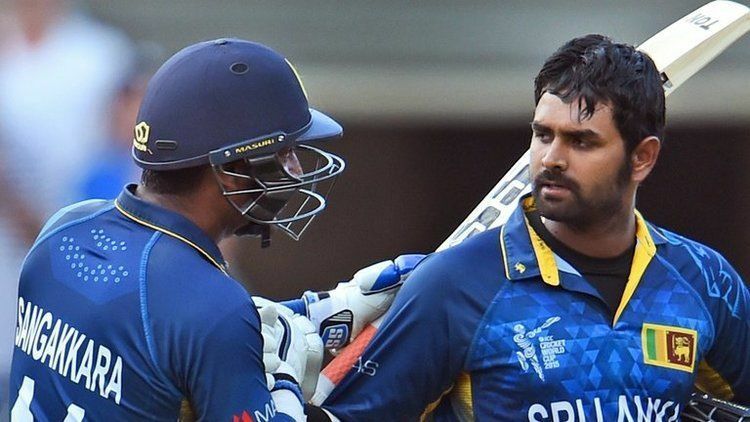 Duringthe 2015 ICC CricketWorld Cup, Thirimanne started to open the batting with Tillakaratne Dilshan.Before the tournament, Sri Lankan opening pair was struggeled to pick up, butfinally it was sealed between Thirimanne and Dilshan. On 1 March 2015, hescored his 4th ODI century against England, where Sri Lanka chasing 309 runs.He added 212* runs for the second wicket partnership with Kumar Sangakkara to win the match. He was unbeaten 139in the match. 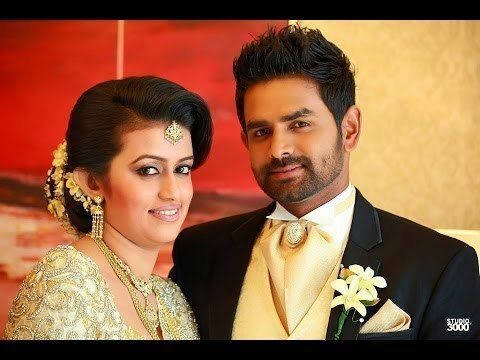 Thirimanneis married to Rukshani Thirimanne. The wedding was on 17 December 2014 at Cinnamon Grand Hotel, Colombo. 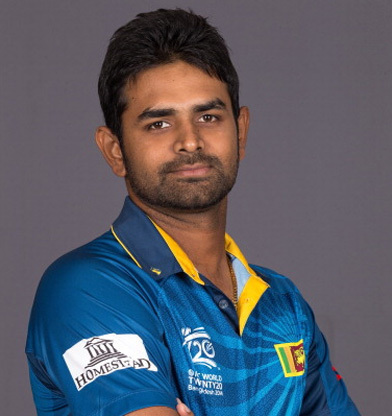 Thirimanne is married to Rukshani Thirimanne. The wedding was on 17 December 2014 at Cinnamon Grand Hotel, Colombo.